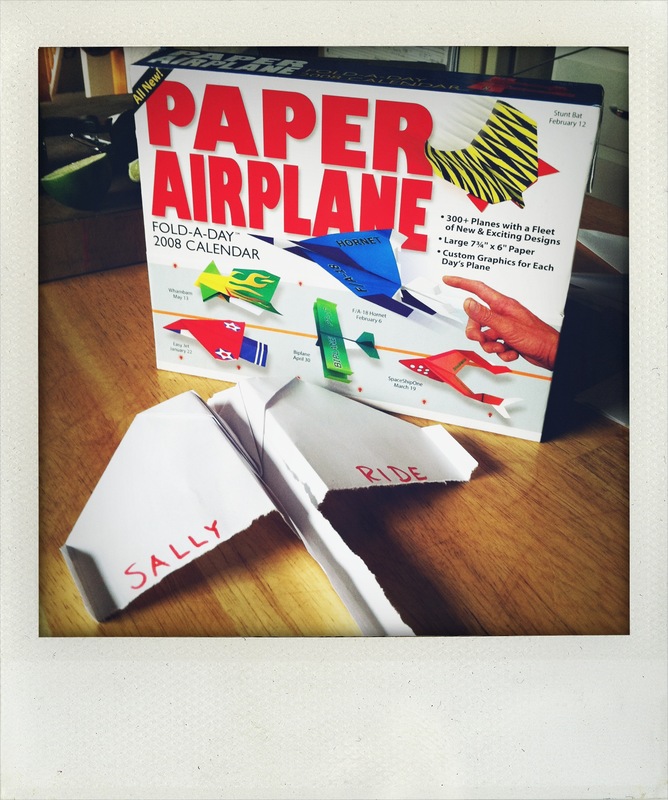 Brace yourself because it’s National Paper Airplane Day AND the day that the Frisbee became a registered trademark AND the birthday of Sally Ride who was the first woman in space. Who among you can contain yourselves? 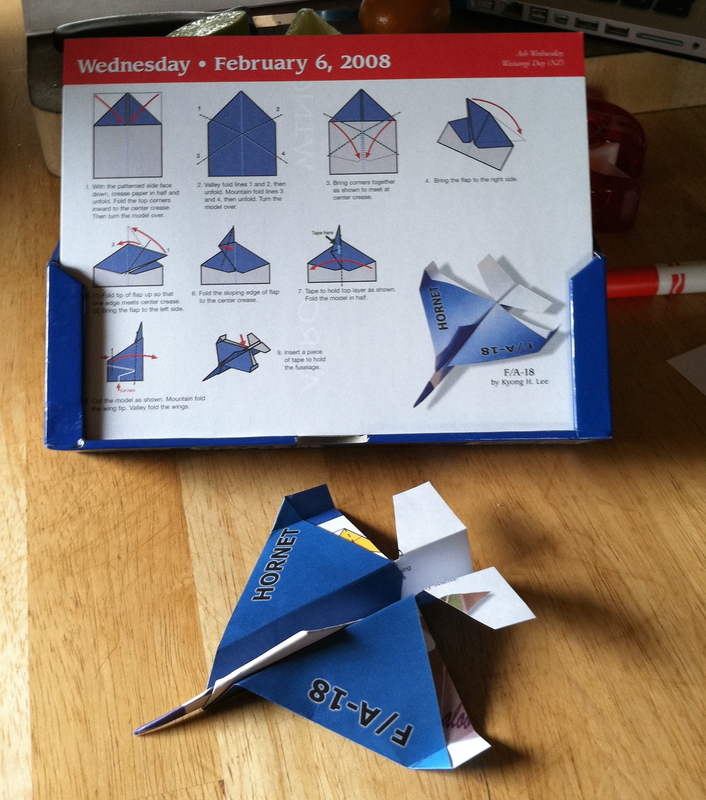 More importantly, when did you last build a paper airplane? 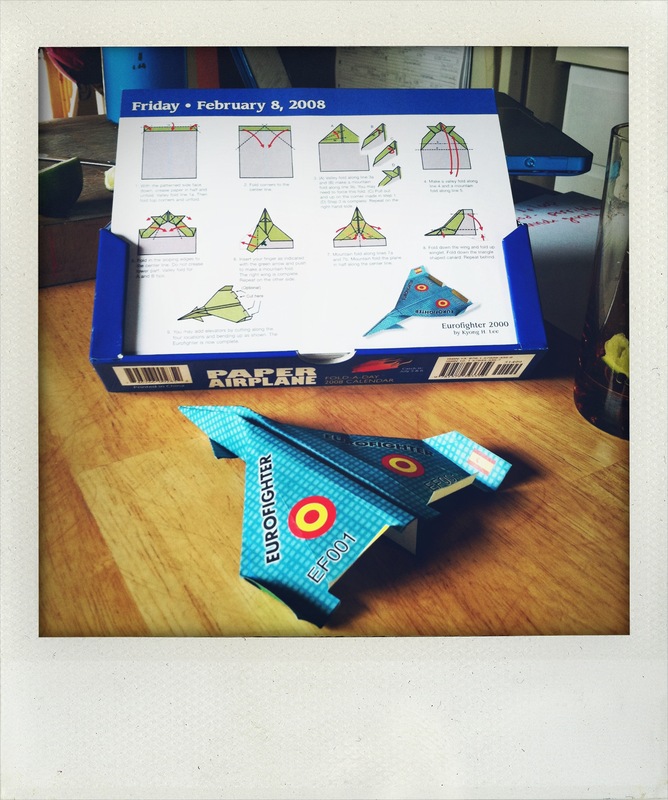 Or rather, when did you last build a paper airplane that flew well and with which you could hit a target? I’ve heard tales that people build such planes but I never have, and what better day? 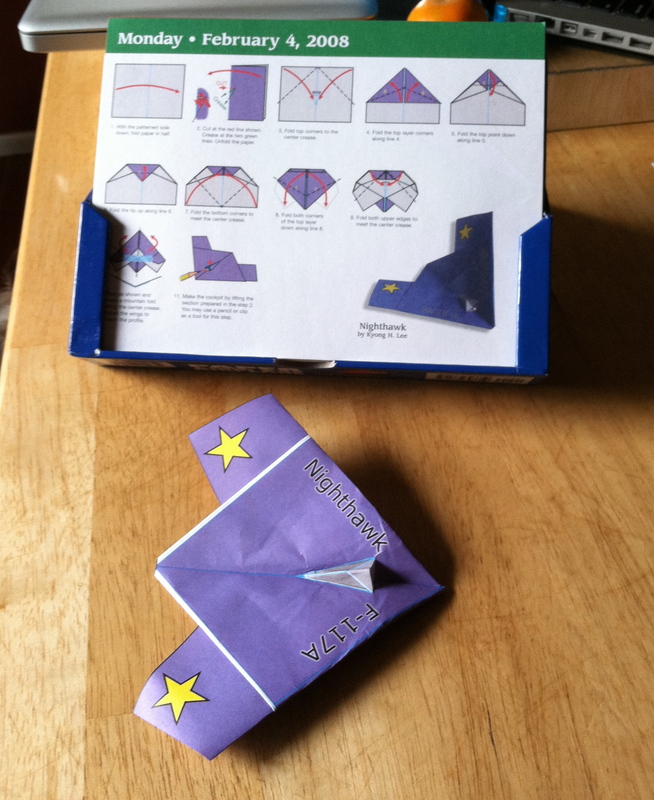 Then I thought, if I could make a Frisbee I could compare paper airplanes and paper Frisbees! Now that everyone’s rolling their eyes and saying “Good lord Kaitlyn, what’s with the DIY crafting? !” I want to point out in my defense that the majority of these ideas come from the internet driven, well-trodden path that DIY-ers have cleared for me. 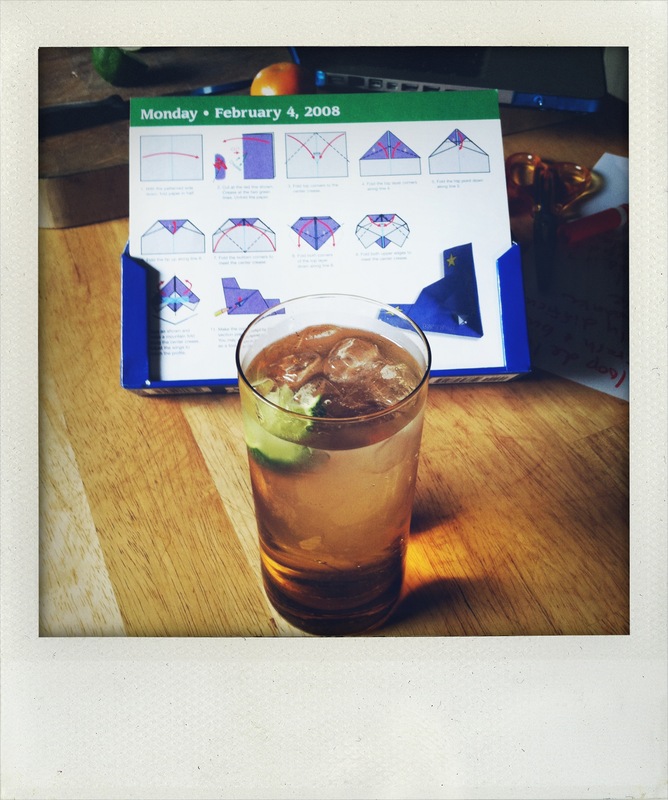 You can find directions online to make everything. If it’s packaged and sold in stores, someone has figured out how to make it using recycled trash and distilled essence of Oreos, or some such thing. As to Frisbees, I’d never seen someone make one but I figured someone had and once I waded through all the paper plate Frisbee sites and the one person who made a flexible Frisbee with something called oogoo, I stumbled onto the NASA spaceplace. There they had a long explanation about small satellites (nanosats) and how they launch from rockets with a Frisbee like motion. 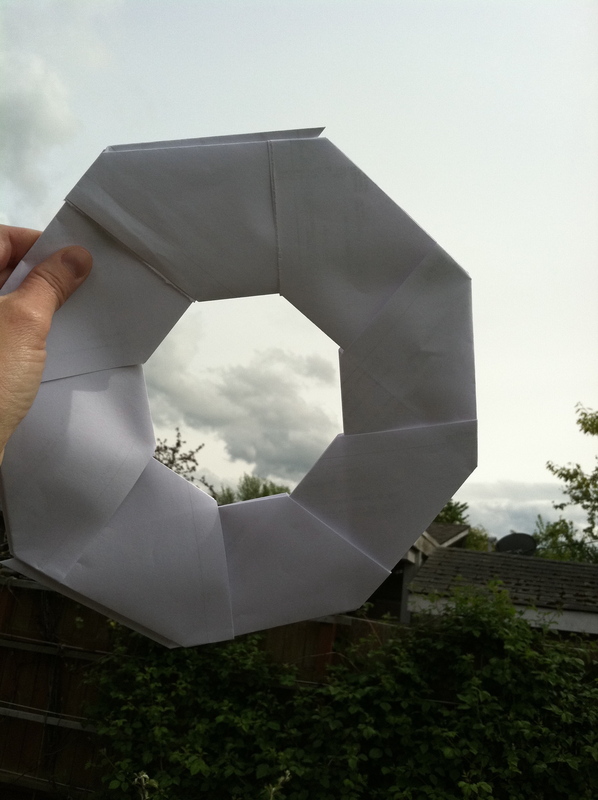 After I quick scrolled through all that I found a paper pattern for a “nanosat” that looked an awful lot like a Frisbee. They also had instructions for a nanosat launcher but, seriously, people; I’ve celebrated Space an awful lot this month so we’re calling this a Frisbee and we’re foregoing the launcher. Bet came home about this point, asked what holiday we were celebrating and when I said paper airplanes and Frisbees she said “I have an old calendar with paper airplane instructions for each day. We could build a bunch of different ones. 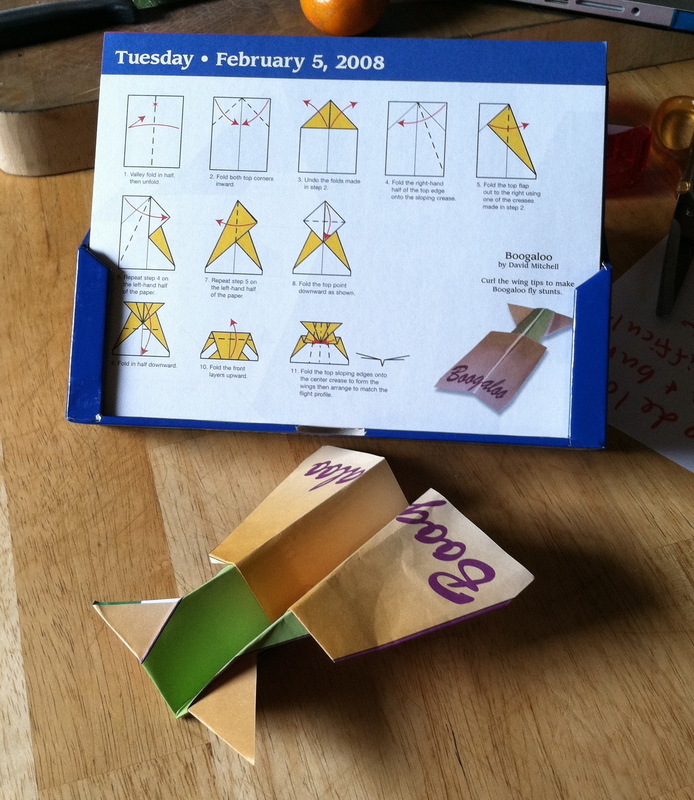 Want to use that?” My sister is why a holiday every day is even possible, what with her flower looms and her paper airplane patterns. Spaceship One: crash and burn. Feather: deceptively difficult to build, tendency to nosedive. Nighthawk: epic fail. Where do you even hold it? Arrowing: Needs to be launched g e n t l y. Tends left. Eurofighter: Spirals. I feel like we could alter all the various hanging elements to increase aerodynamics but maybe we’re starting to take paper airplanes too seriously? The Sally Ride: Jasper hit the target! Once. No successful flight after that. 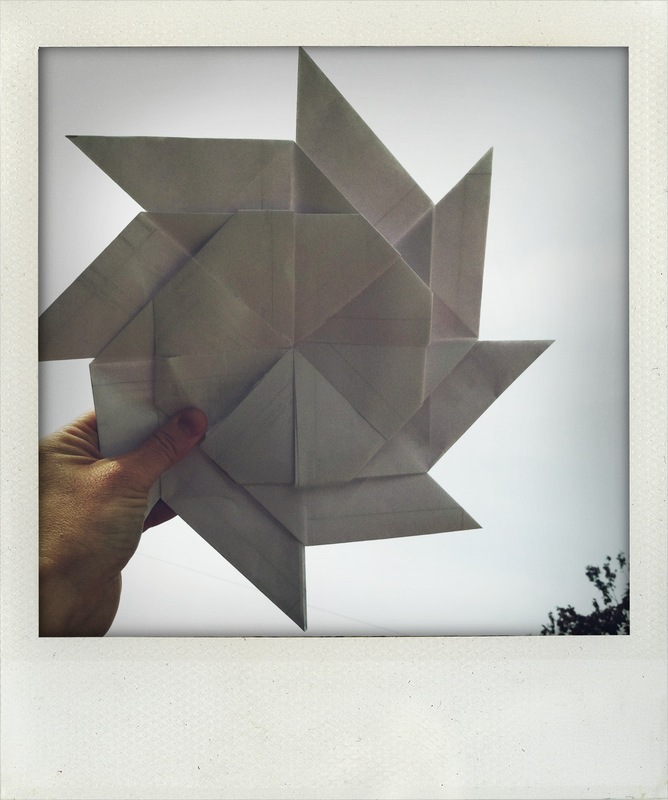 And had the advantage of turning into an 8-pointed star. But couldn’t fly for crap. My scientific judgment is that it’s too heavy and wobbly with too much of a hole in the center. Bottom line: Pretty but ineffective. Final tally: I’m giving this one to the planes and specifically to Sally Ride since it’s her birthday. To the rest of you: Go buy a Frisbee or build a plane, create a competition with your siblings and relive your younger years. Once you’ve tired of the folding, throwing and trash talking, abandon the planes to the real kids, have a refreshing beverage and remember why adulthood is good. 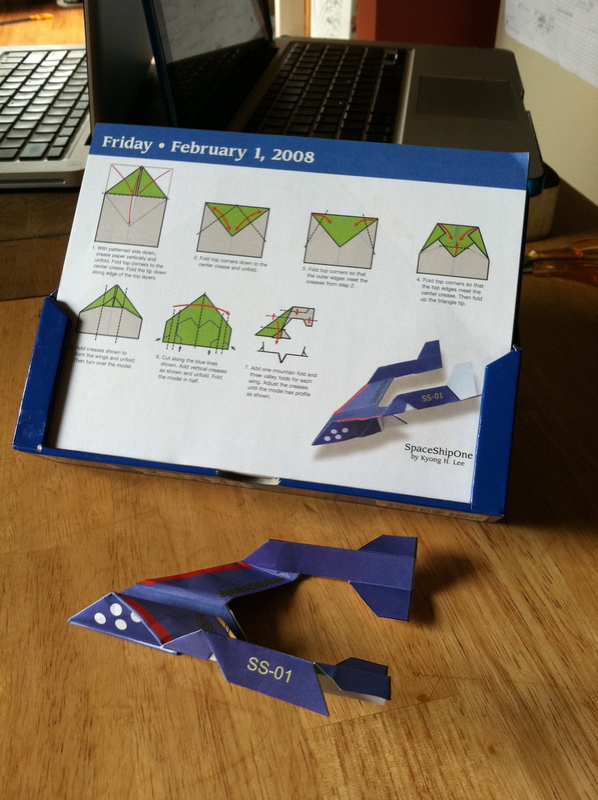 Happy Paper Airplane and Frisbee Day! 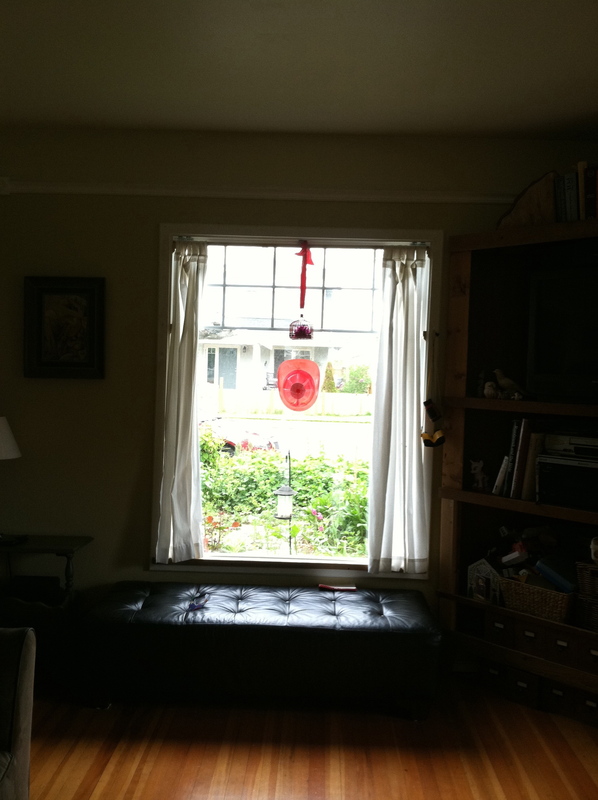 This entry was posted in A Month of Holidays, Bellingham, WA, Frisbees, National Paper Airplane Day, Sally RIde and tagged Frisbees, I love anything I can throw, nanosats, National Paper Airplane Day, one site had preflight instructions and flight techniques, Sally Ride. Bookmark the permalink. ← Get out your flag, it’s Geek Pride Day! Love the planes wish you were in Tucson for halloween the next time Stephen wants me to make him a jet costume have a wonderful HOLIday! Awesome! Your paper airplanes look so cool. Love your assessments of each. 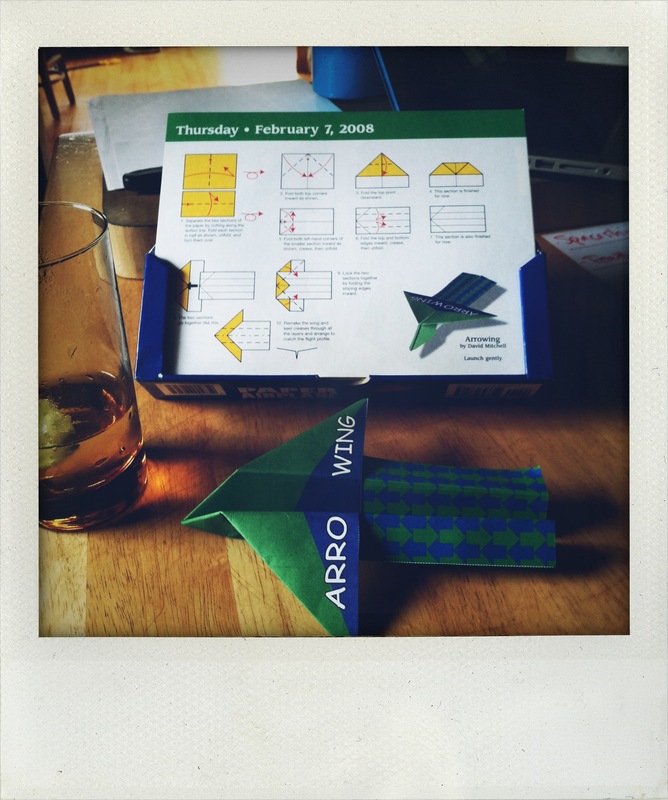 Can’t remember the last time I made a paper airplane. I’m gonna have to fix that right now! Good luck. Take pictures. let me know how it goes. this was like the wine tasting of paper airplanes. so serious and scientific. taking notes and all. kudos to kaitlyn for figuring out how to make all three holidays fit. here’s to another week and a half of this nonsense! I love that wine tasting is our gauge of serious and scientific! :) And yes, to another week and a half of holidays!! huzzah! Too bad you didn’t let me know ahead, (Is that even possible)as we fly paper airplanes in science class. One type for “time aloft” and the other for hitting a target. I have some awesome kids, esp. one named “Mario”, who can make a terrific plane! 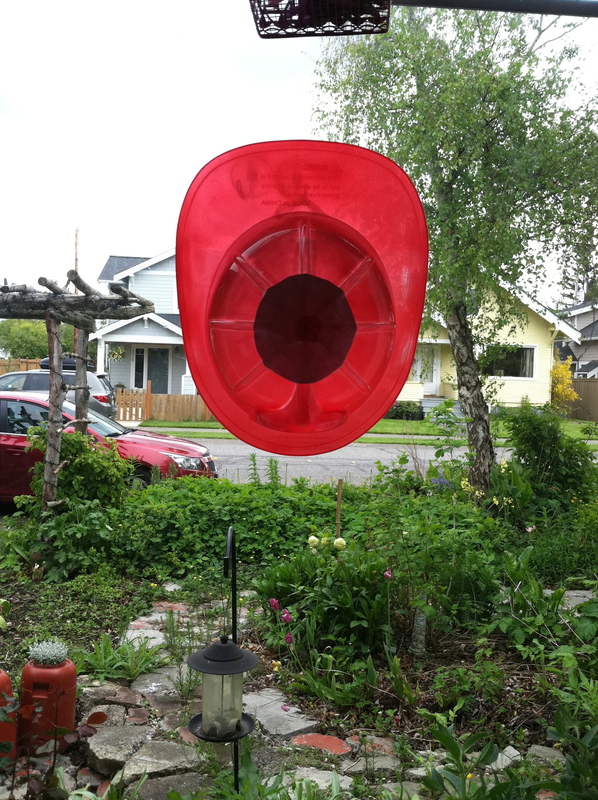 We have also tried a “paper plate” frizbee…not so hot! Frisbees are tricky. They get too heavy to fly properly really quickly when there’s paper involved. I’d love to see Mario’s plane! 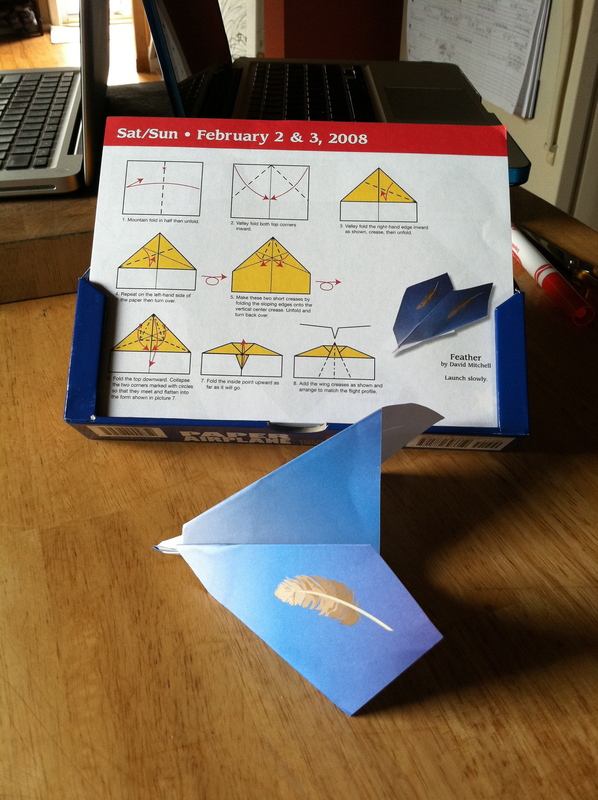 Ahhh, paper airplanes. So many models to choose from and yet the LML standard folded plane we all used to make (with the flaps) is the one that got me the “Archeology Flyer Flyer Contest” win… as far as I know it still stands at 270 some odd feet. It flew from the bench outside of what used to be the Stupe down to the parking lot between McManis and Williston. I could have used that pattern! Curses on my high school scorn for you boys and your paper airplanes! !